Looking for a Used C70 in your area? CarGurus has 421 nationwide C70 listings starting at $4,080. 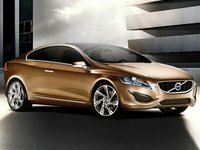 The Volvo C70 two-door convertible receives a number of updates for 2010, including a redesigned front end, which displays styling cues borrowed from Volvo's S60 concept car. Design features for the C70 include a more wedge-shaped nose with enhanced V-shaped lines, new headlights and foglights, updated detailing on the lower grille, a larger air intake, and restyled front wings. Volvo also updated the C70's rear end with a revised bumper and new LED taillights, and offers a new Flamenco Red Pearl exterior color. Inside, the 2010 C70 features a redesigned instrument panel with a textured surface, which results in a higher-quality feel, according to the automaker. The C70 also sports new instrument gauges and upgraded Flex-Tec leatherette upholstery, which enhance the C70's already well-regarded interior. Standard features include eight-way power-adjustable front seats, a leather-wrapped steering wheel, dual-zone electronic climate control, a tilt/telescopic steering wheel, Bluetooth, cruise control, and aluminum inlays in the center console and door panels. The eight-speaker AM/FM audio system with high-definition radio includes a CD player, an MP3 input jack, and audio controls on the steering wheel. Owners can add such features as leather upholstery, heated front seats, and a navigation system with real-time traffic as options. The C70's three-part steel roof folds down at the press of a button and stows in the trunk. It takes about 30 seconds to open or shut. The trunk has two opening modes, one for stowing the roof and the other for accessing the luggage compartment. The front-wheel-drive C70 comes in a single TR trim, powered by a 2.5-liter, DOHC turbocharged five-cylinder engine, which generates 227 hp and 236 lb-ft of torque. The engine mates to either a six-speed manual transmission or a five-speed Geartronic automatic. Fuel economy numbers for the engine check in at 20/28 mpg with the manual transmission and 19/28 mpg with the automatic. The powerplant moves the C70 along well once it's at speed, reviewers note, although they would like to see more aggressive power off the mark. The C70 rides on a four-wheel independent suspension, with MacPherson struts in the front and a multilink rear suspension. Some owners and reviewers find the ride a bit too stiff, though most like the C70's ride quality, handling, and quietness. The C70 rolls on 17-inch wheels, while owners can add 18-inch wheels as an option. Safety features include Dynamic Stability Control, traction control, and antilock brakes with electronic brake assistance. Dual front and side-impact airbags also come standard. In addition, a Rollover Protection System helps protect passengers in the event of an accident, whether the top is up or down. The system features metal hoops behind the rear seats, which are activated during a rollover by a gyro-sensor and shoot up to provide ground clearance and keep passengers safe. The hoops are designed to shoot through the glass rear window if the top is up, protecting passengers in all situations. 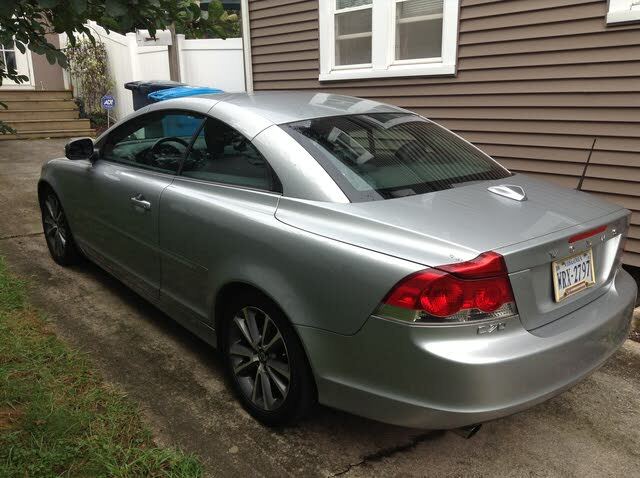 What's your take on the 2010 Volvo C70? 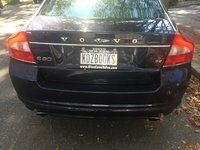 Have you driven a 2010 Volvo C70?